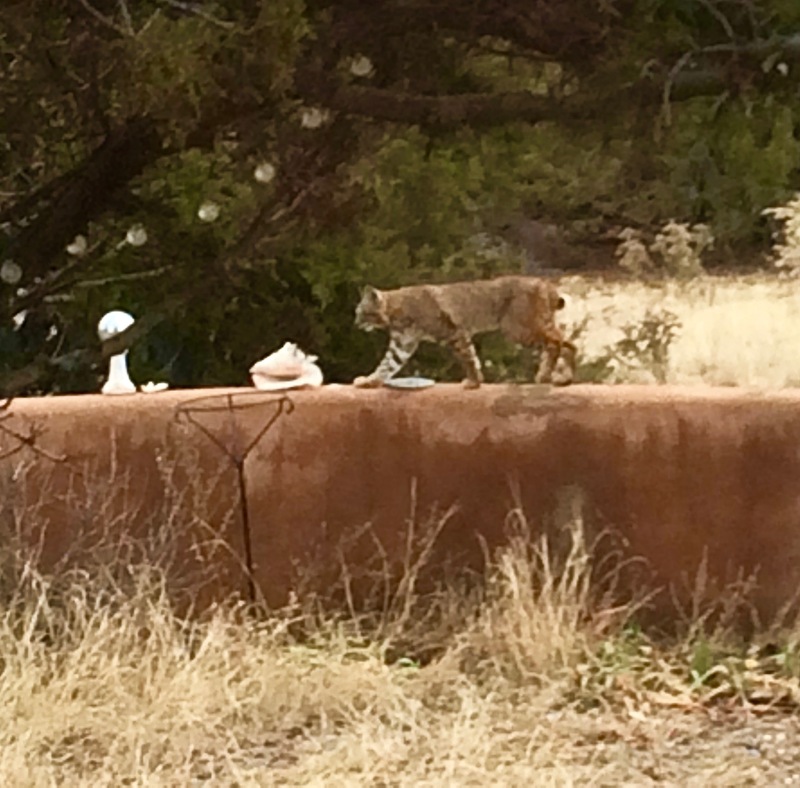 Three beautiful Bobcats came slinking into my yard and work place not even five minutes after we finished the extraction work done outside. 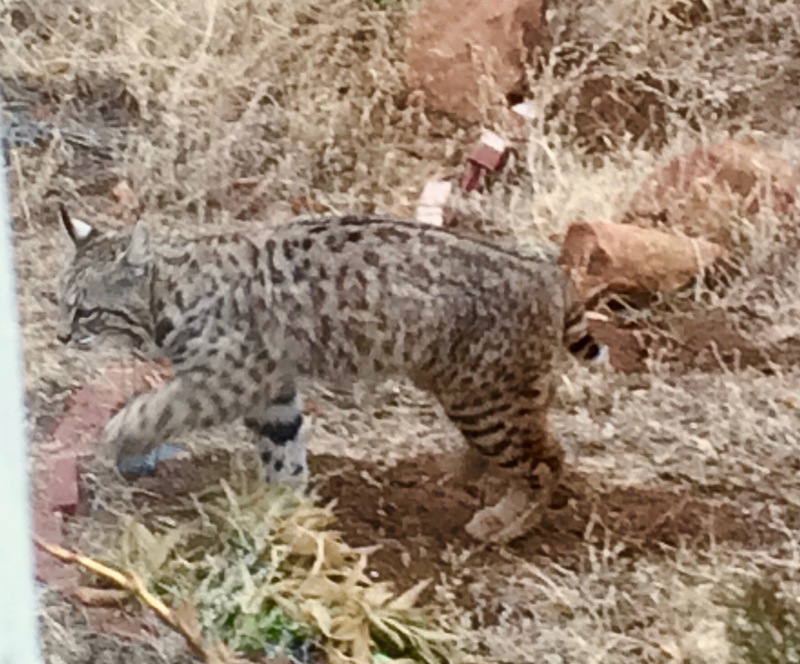 One by one bobcats came right in the gate from the driveway. This is the third time in recent weeks they came right in and showed up after or during our work. They have visited many times, yet it seems that when we do our Clearing to the Core work, the high frequencies bring them around. I feel it’s the sparkling energy of the Crystalline Stellar Skulls that are flying all over the place when working with us. They are guiding some of the activities with the Galactic Team, and Ascended Masters that all work with us when we do this incredible clearing. 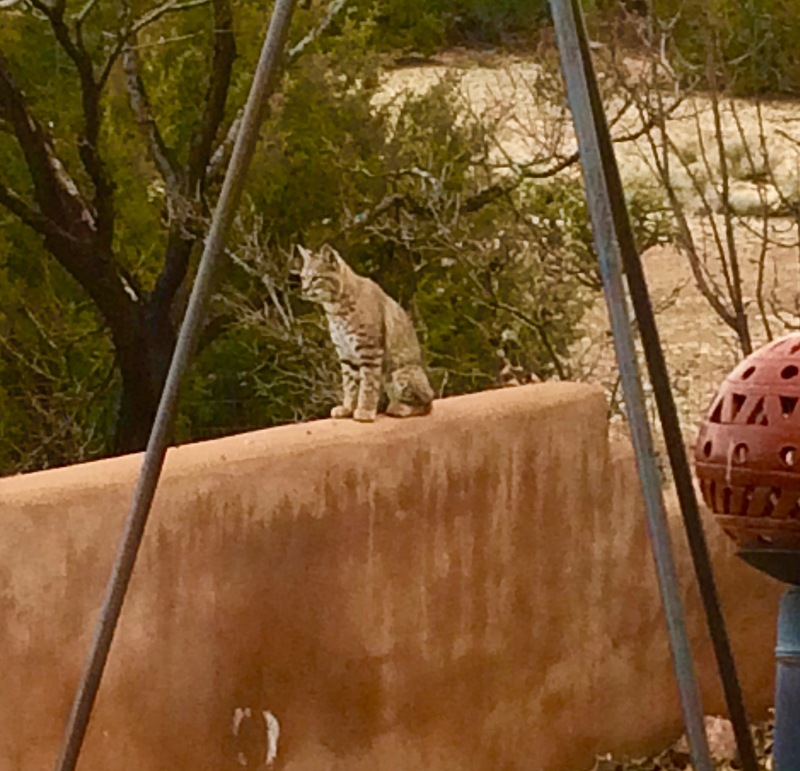 The bobcat sitting on the wall was gazing right at the big red Stellar Skull on the stand before walking around the yard on the wall. The second one to come in may have even brushed against the stand a few feet from us. 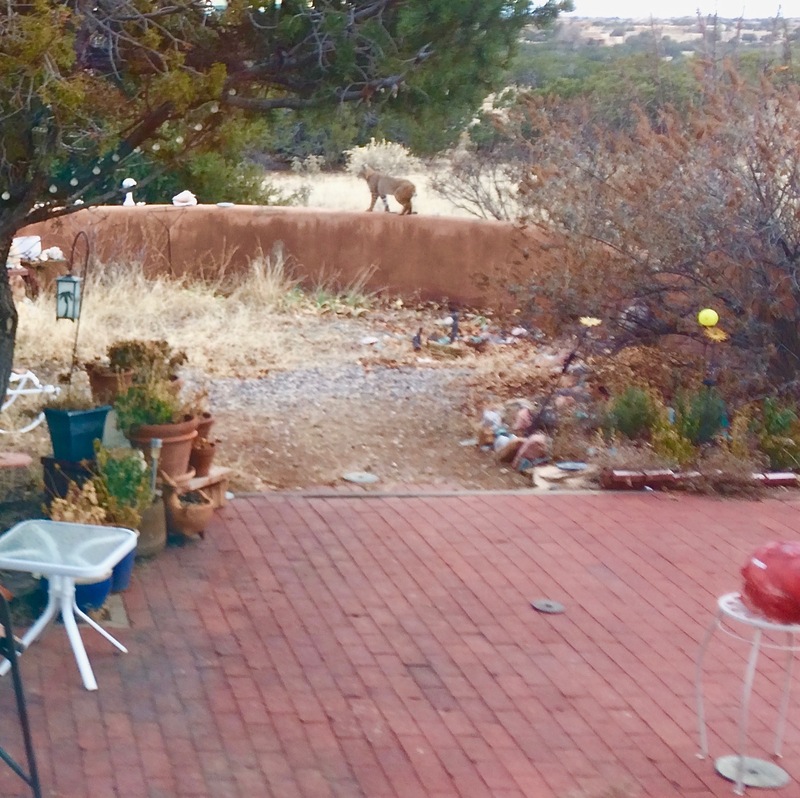 I followed one onto the roof of the casita the other day, since I can get onto my roof from the second floor. She was sitting there watching the sunset, looked over at me ~ and yawned. What a gift! Frickin’ awesome! Thank God – Goddess we still have wildlife!